Reducing the hardness of your water will leave you feeling more refreshed than ever after a shower and your towels feeling softer than ever! You will taste the difference in your drinking water! See the clarity, feel the purity, and taste the freshness! Start enjoying clean, fresh water in your home every day! GUARANTEED! City water contains chlorine. While chlorine for the most part will not hurt you, it smells and tastes bad. In addition, it dries out hair and skin leaving you itchy and uncomfortable. The presence of hydrogen sulfide in water results in a fowl smelling water similar to that of a rotten egg. In addition, musty, earthy or fishy tasting or smelling water is the result of algae, molds and bacteria. While it is mostly harmless, smelly water is virtually useless for drinking, cooking and cleaning. 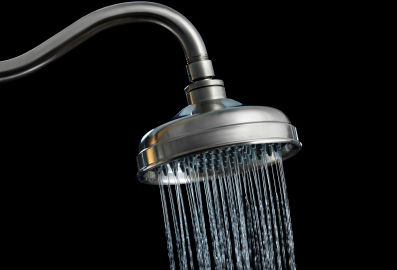 Hard water causes soap scum to form in tubs and showers and results in spots appearing on faucets and fixtures. Hard water is also hard on appliances by creating scale build up inside pipes. It can result in very costly repairs. Metallic tasting water is usually the result of elevated levels of actual metals in your water like iron and manganese. They not only taste bad but they can be bad for you! While sometimes the cloudiness can be confused with harmless air bubbles, some cloudiness can be a reason for concern. In drinking water, the cloudier the water appears the higher the risk that your water contains impurities in the form of suspended solids. Suspended solids interfere with water disinfection with chlorine because the particles act as shields for the virus and bacteria. What you can’t see can hurt you. Bacteria’s, viruses, cryptosporidium, giardia lamblia, lead, mercury and many other very harmful impurities can be found in tap water. These elements can cause unspeakable illnesses and even adversely affect the young and elderly where immune systems are less developed or compromised. Studies have found that your clothing can wear out up to 30 times faster if you have hard water; hard water can also lead to your skin always feeling itchy and dry. But, Twin Plumbing Rancho Bernardo Plumbing can help by installing a water softener or drinking water system. The proper selection of an ion exchange water conditioner can greatly reduce or eliminate the problems caused by the presence of hardness and other unwanted minerals from water supplies. Water that contains dissolved calcium, magnesium, iron and manganese is commonly referred to as “hard” because these metals can combine with other compounds to leave hard scales or stains on the surfaces they touch, as well as interfering with the effectiveness of soap and other cleaning products. Water may also contain other dissolved unwanted minerals such as lead, nitrates, aesthetic chlorine, and aluminum, organics that produce off tastes and odors, and other impurities. Call Twin Plumbing for softer water today!